Stores ref. 22G/485. 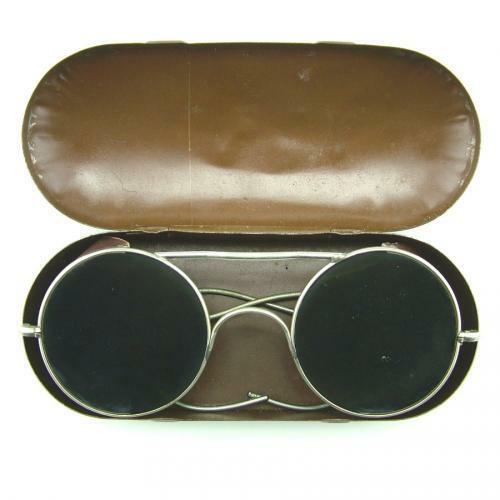 By Levers Optical Ltd. EPNS wire frames with circular Crooks B.2 blue-grey tinted glass lenses, wrap around side-arms and leather side-shields. Light tarnishing and verdigris to the frames. Excellent side-shields. Good lenses. Complete with metal tin of issue having Air Ministry markings etc. Very good used overall. Stock code G16787.